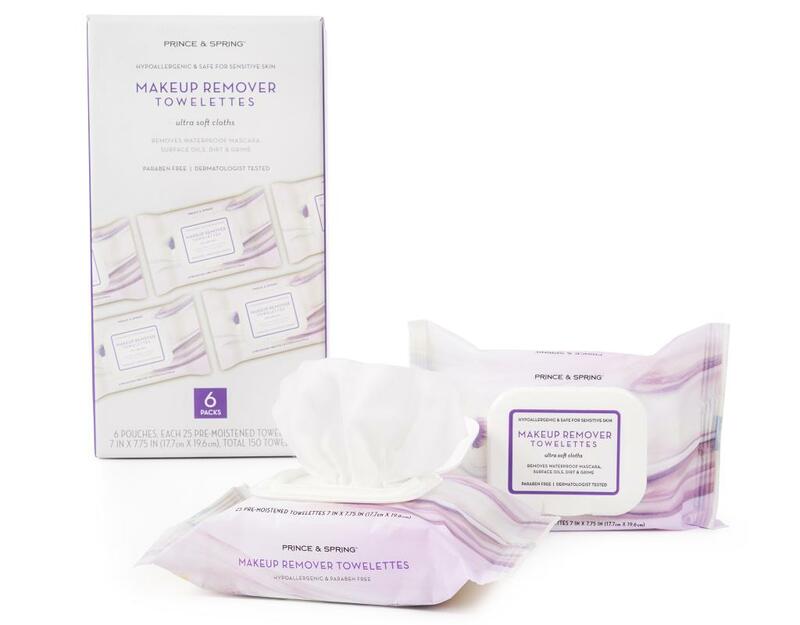 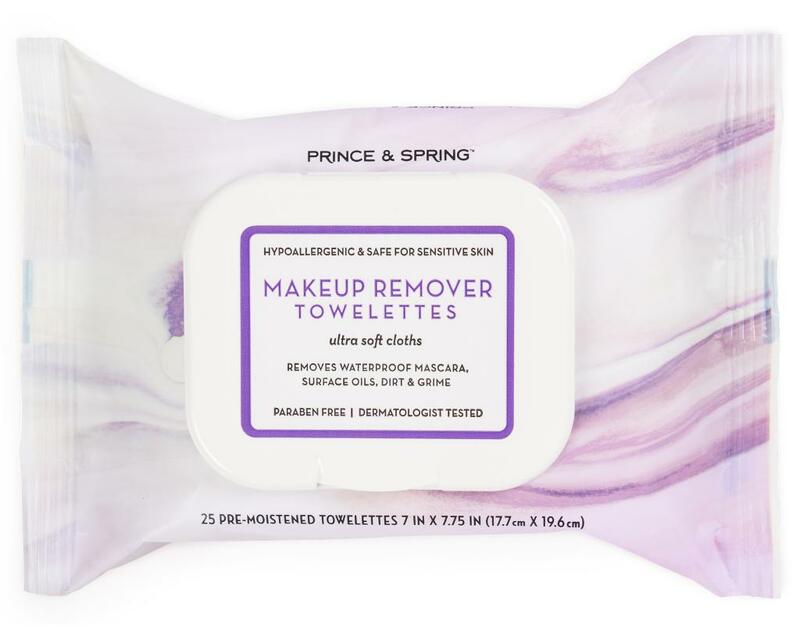 No matter if you're pressed for time or just being lazy (hey, no judgment), using a cleansing cloth is the easiest way to wash away stubborn makeup, sticky sweat, and dirt buildup. 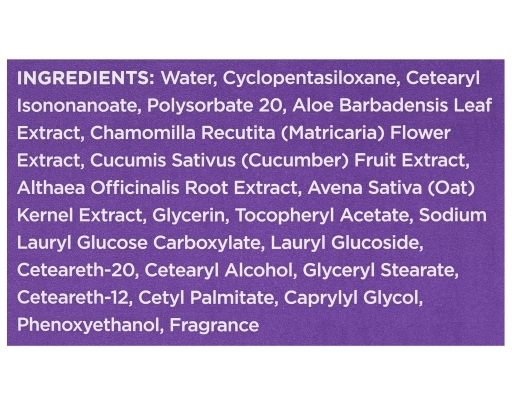 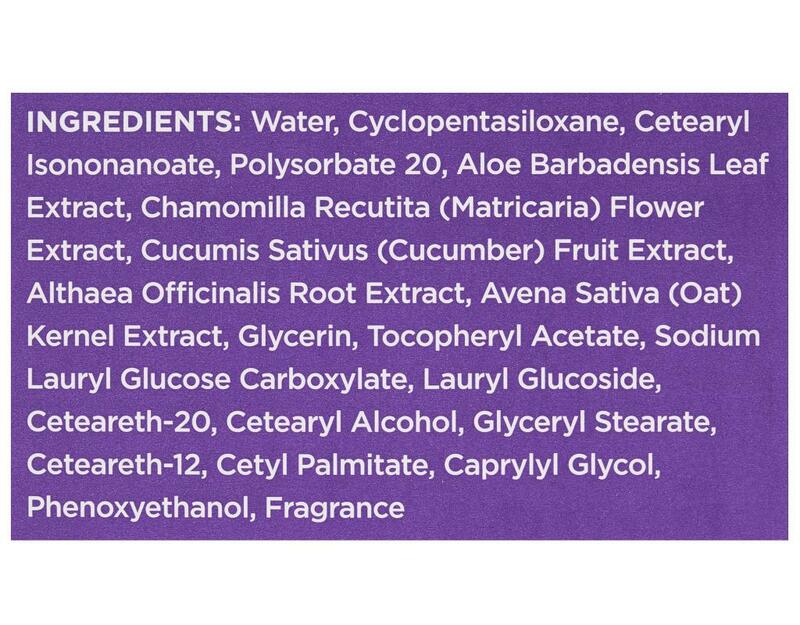 Our paraben-free formulation is dermatologist tested, hypoallergenic and safe for sensitive skin. 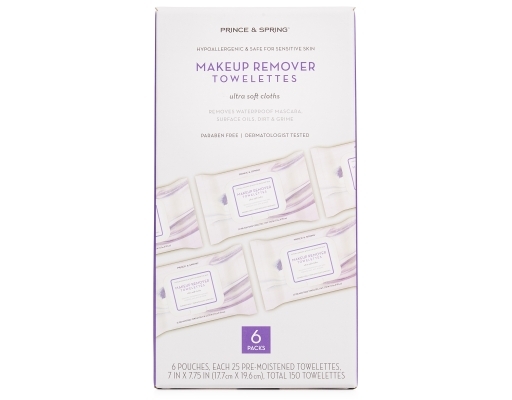 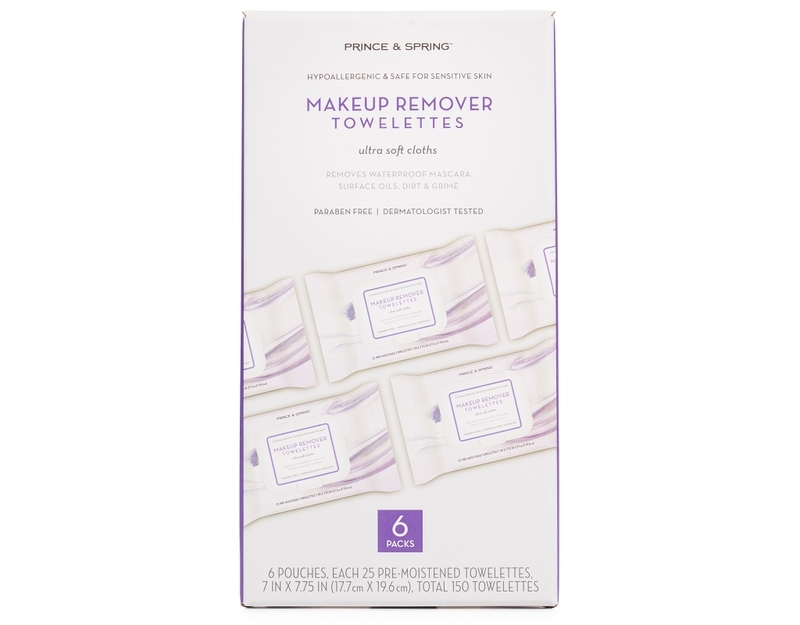 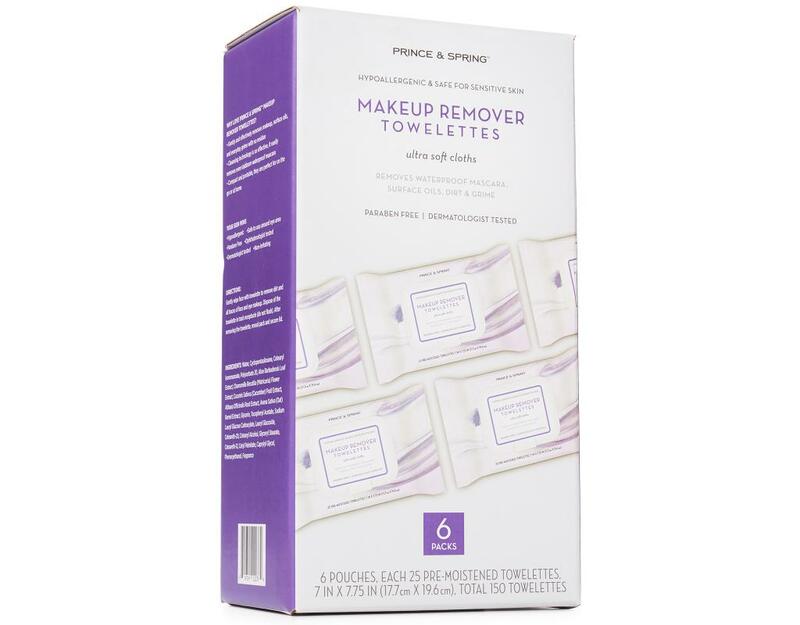 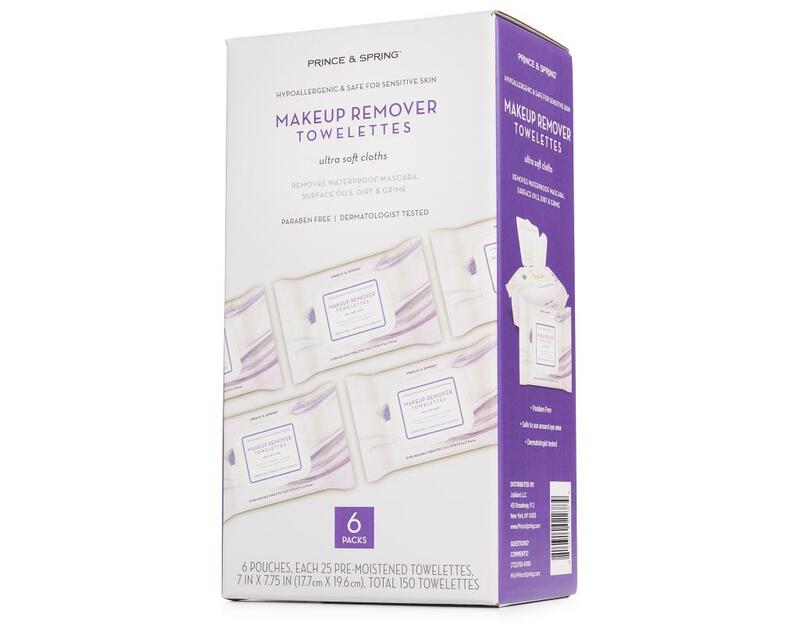 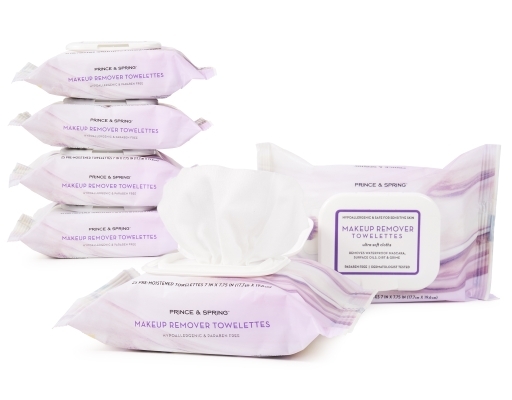 So don’t be shy, take it off ;) with Prince & Spring Makeup Remover Towelettes.